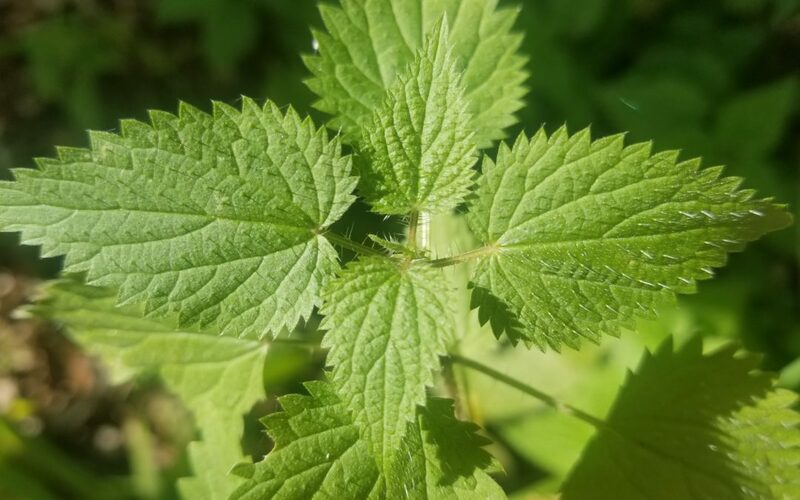 The Nettles plant – Urtica Dioica (commonly known as Stinging Nettles) is an interesting herbal ally. If you look closely, the needles on the leaves will let you know that it WILL sting you, if you are not mindful when harvesting. However, once the Nettles is dried, blanched, or pulverized, the sting is ameliorated. Best harvested with gloves starting in early spring, Nettles can provide us with a treasure trove of support for many conditions. However, regular use provides the biggest benefit in the long run. This wonderful plant is safe to use, and is high in calcium, iron potassium, phosphorus, chlorophyll, vitamin C, and other nutrients. Nettles support the kidneys and adrenals making it a potent stress fighter when used regularly. It is alkalizing and anti0inflammatory helping us with joint pain, osteoporosis, PMS, hot flashes and skin conditions like Psoriasis. Nettles contains more Calcium and Magnesium than the RDA (Recommended Daily Allowance). Could Nettles be an Antidote for Coffee? So much about coffee is alluring. The smell, taste and ritual of morning and/or afternoon coffee. Coffee and conversation with a friend. Coffee is string medicine. Because of this, it takes a toll on us when we consume it regularly. I would not normally think of using Nettles to replace coffee. When I retreat (yes retreat! ) from my coffee habit, I generally move to Decafe coffee, then black tea, then green tea, and then once I’ve weaned from caffeine and I want that coffee taste, I drink either Dandy Blend or Four Sigmatic’s Mushroom elixir. There are a few to choose from – just don’t choose one with actual coffee in it. These are both fairly good substitutes for the coffee taste. Both are fairly nutritive, especially the mushroom elixir. Yet how can we repair the damage we’ve done with coffee. 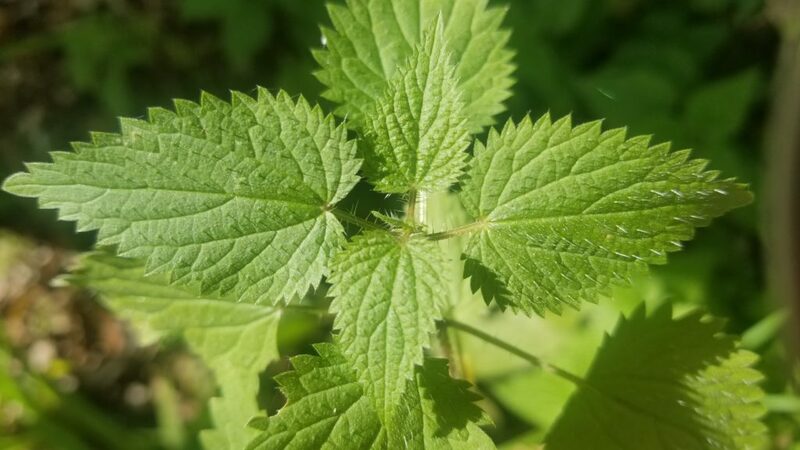 Since going deeper into my studies of Nettles, I am convinced that Stinging Nettles power plant ally that can help heal the imbalances we create with regular coffee use. Take a look. Regular use of Nettles can repair and restore the acidity and depletion that occurs from regular use of coffee. Coffee and other caffeine products don’t really “give” us energy. They stimulate our system – but this is at the high cost of our adrenal glands. While the effect may be what we want (after all, I can get a lot done after a cup of coffee) the toll on our health is too great. When we tax our body this way, we are depleting our “jing” or essence. Nettles, on the other hand, energizes our body and it’s many systems. It does this by nourishing our system and working synergistically with it. In fact, Nettles seed is considered an adaptogen – working to support the adrenals by nourishing and strengthening the HPA-axis – this is the Hypothalmic-Pituitary-Adrenal relationship. Adoptogens are herbs that help your body deal with stress. Other wonderful herbs in this category include Ashwaganda, Hawthorn, Schisandra, Rhodiola, Ginseng, Gingko, Astragalus, Holy Basil, and more. 70% of people Suffer with compromised Adrenal function due to stress. Nettles can support us through all phases of the moon cycle including menopause. Helps relieve cramps due to stagnation. They are loaded with chlorophyl which moves the blood, increasing circulation. The Hemostatic action also helps regulate and balance blood flow, lightening heavy flow and nourishing light flow. Nettles supports us with pain during ovulation and helps regulate excess water, relieving bloating. Excellent for Menopause as they are cooling and anti-inflammatory. Great for Pregnancy – it’s like a liquid multi-mineral – Best mixed to use Nettels tea on and off with Red Raspberry Leaf tea (tones the uterus). Bone Building Nutrients: Nettles carry 15 out the 18 Bone Building Nutrients including Boron which helps maintain and stabilize calcium in the bone. You can use the entire plant. Leaf, seed, stalk and root. Eat the seeds raw or if using daily – dried (as the raw can become overstimulating). The seed and Root can be tinctured as well as the leaf. You can purchase a tincture at your local health food store. Another easy way to start with Nettles is using it as a tea. Tightly close the lid and allow to steep for at least 8 hrs up to 24 hrs. - I make this at might and let sit over night. I also make more in the morning for the evening. Enjoy warm or over ice. We enjoy it With organic milk or non-dairy milk of choice and a few drops of liquid stevia. The following are best for fresh spring nettles. Be sure not to eat fresh nettles after it has gone to seed – this can be too taxing on the kidneys. The Master Tonic: Your Homemade Antiviral, Antibacterial, Anti-Inflammatory Powerhouse. Now is the time to make this simple but powerful antiviral, antibacterial, anti-inflammatory remedy for the coming cold and flu season. It is known most commonly by the name “Master Tonic” and it is very easy to make. 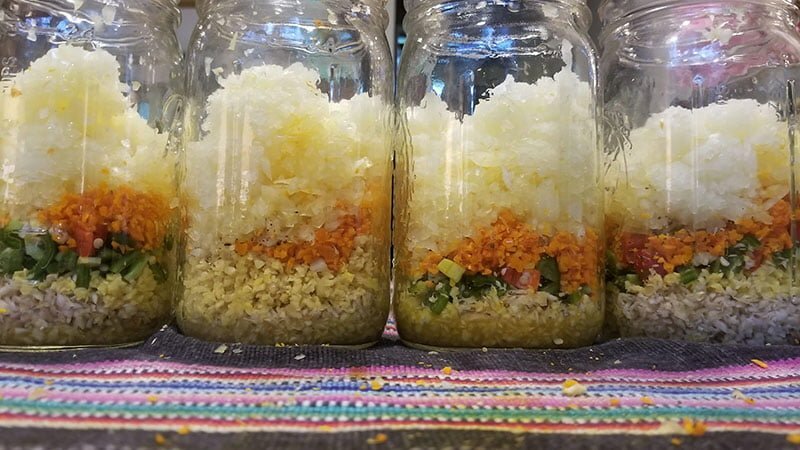 This homemade medicine is an anti-bacterial, anti-viral, anti-fungal and anti-parasitic remedy that you can make in your own kitchen. We made it this month so that we are ready to keep our immune system strong when the season (and weather) changes. 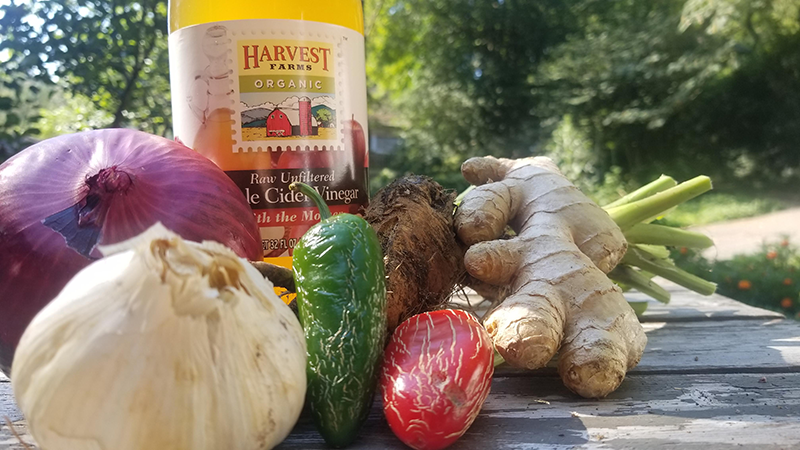 This works as a preventative ally, keeping your immune system strong and it also works to help rally your immune system if a cold or flu strikes. Remember: It’s best to use fresh,organic ingredients whenever possible. Especially, when making medicine. Below are the health benefits of each ingredient. You will find the recipe at the bottom of the page. Rich in phytoncides-such as allicin – helping cure infections at a faster rate. It’s best to chop the garlic and wait 15 minutes prior to utilizing/ eating/ cooking. This allows the health-giving enzyme reaction of garlic to occur. Curcumin is an incredible compound found in turmeric. It works synergistically with Black pepper which increases it’s bioavailability in the blood. Ginger is a widely recognized medicinal root across many cultures for thousands of years. Stimulate blood flow – helps relieve congestion associated with cold and sinus infections. In this recipe we’ve used Jalepeño peppers because they were growing in our garden. However, Unripe green habaneros contain more Vitamin C than a serving of citrus fruit. Make this Anti-Viral, Anti-bacterial tonic for home use. Grate, dice or add to food processor each ingredient at a time and add to jar. Fill mason jars of your choice 3/4 of the way full. Add in Apple Cider Vinegar to the top. Cover with lids (if using metal lids add parchment paper so the vinegar does not react with the metal lids. Store in a place out of the sun. Shaking gently once per day for two weeks, and then filter the Master Tonic mixture through a clean piece of cheese cloth or other, bottle and label. Can be stored in the pantry indefinitely. Take 1 or 2 ounces a day during cold and flu season, You can add raw organic honey if desired. Swish and then swallow. Don’t dilute with water. The dosage for the Master Tonic is 1 or 2 ounces, two or more times daily. For an infection, 1 or 2 ounces taken 5-6 times a day will be suffcient. It can be used during pregnancies, is safe for children (use smaller dosesand maybe a dropper full with added honey). This is a non-toxic food.